If you were still holding out hopes that you’d see new and innovative production motorcycles from Erik Buell, it appears those hopes are now dead. Ever since Erik Buell Racing ceased operations last year, the story has only grown more complicated and less positive. With a rare combination of a racer’s talent, and engineer’s mind and an innovator’s creativity, Erik Buell made unusual motorcycles for decades. First, he built his own designs. Then he sold his company to Harley-Davidson. When the financial crisis hit, Harley decided to return to its core by shutting down Buell and giving away MV Agusta, which it had purchased. That led to the birth of Erik Buell Racing, a new company that once again started building high-performance motorcycles in Wisconsin and took its EBR 1190RS racing, first in the AMA Superbike series and then in World Superbike, but with very little success. Hero, the largest motorcycle manufacturer in India, bought 49 percent of EBR in 2013, but the relationship did not secure the company’s future. After EBR filed for receivership last April (a similar situation to bankruptcy under state law), Hero bought some of the assets, related to projects the two companies had worked on, while the court scheduled an auction for the rest. 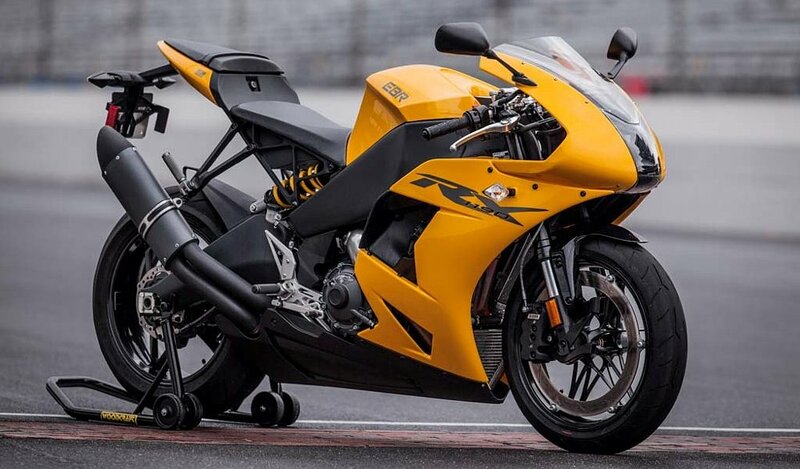 At first, it looked like Erik Buell’s motorcycle business might be back from the dead, when a New Jersey businessman and motorcyclist, Bruce Belfer, offered to buy the remaining EBR assets with the intention of restarting the company. Belfer was not able to close the deal by the court’s deadline, however. Yesterday, the Milwaukee Journal Sentinel reported that the court appeared to be ready to approve the sale to Liquid Asset Partners, a firm in Grand Rapids, Mich., that specializes in liquidating companies or assets. The difference between Belfer’s plans for EBR and Liquid Asset Partners’ plans are like the difference between buying an old motorcycle because you want to restore it and buying one because you want to put a few of its parts on eBay and sell the rest for scrap metal. As someone who has followed Erik Buell’s efforts from early on, and has ridden a few of his creations, I am both regretful and unsurprised. The motorcycle press always loved Erik Buell, and with good reason. He could ride better than us, build motorcycles better than us, was as passionate about them as us and was still approachable and down-to-earth. Buells were always different, which made them interesting, but not enough consumers felt that made them better, and I’m a perfect example of that. As a rider and a motorcycle writer, I found them fascinating. As a consumer, I never bought one. We may yet see some more interesting creations from Erik Buell, but I don’t expect to get another chance to buy a Buell production motorcycle.